Mari Vineyards has created a premier selection of wine clubs as a way for you to enjoy your favorite wines throughout the year. Each club offers unique benefits that will allow you to receive discounts on our wines and special access to “members only” events and promotions. 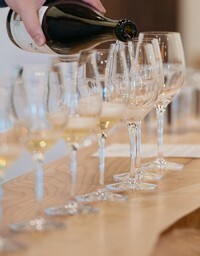 In addition, you will receive our newsletters with winemaker notes, recipes, pairings, news and reviews. Simply review the clubs below, sign up for the ones that suit your taste and we will do the rest. We are currently able to ship wines to California, Florida, Illinois, Michigan, Minnesota, New York, Ohio, Oregon, Texas and District of Columbia*. We are actively working on our aquiring new states for shipping, please keep an eye out for your state! Please be aware that there are some areas within Florida & New York where wine shipments are prohibited. Signing up for any Mari Vineyards Wine Club commits you to minimum of two (2) shipments before cancellation. Our next Wine Club shipment will be in December 2018. Join our Red Wine Club and receive two pre-selected bottles of our award winning red wine four times per year. The wines included in each shipment are specially selected to provide you with a variety of our finest Michigan red wines. This club averages $75 per shipment. 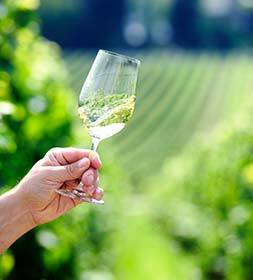 By joining the White Wine Club you will receive two pre-selected bottles of our exquisite white wines four times per year. This club averages $75 per shipment. The Seasonal Wine Club offers a mixture of red and white wines, selected to match the season. You will receive three pre-selected bottles four times a year. With refreshing whites in the summer and hearty reds in the winter, the Seasonal Wine Club is the perfect way to be sure you have the right wine at the right time. This club averages $150 per shipment. The Reserve Club features exclusive opportunties and priority access to our finest wines. Designed for the true wine lover, you will recieve four pre-selected bottles, four times a year. In addition, a small allocation of our limited production wines will be reserved for our Reserve Wine Club members, even if they're sold out! This club averages $200 per shipment. Four bottles shipped four times a year. 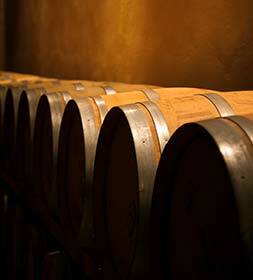 VIP Cave & Barrel tastings of special & reserve wines as available. A small allocation of select limited production wines will be held in reserve for you to purchase – even if they’re sold out! *Please note sales/use tax will be collected on your behalf, varying upon individual state requirements.